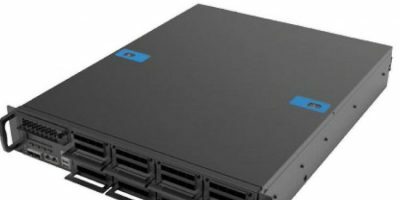 Edge computing company, Adlink Technology is collaborating with Intel to refresh its carrier-grade network appliances, the CSA-7210 and CSA-7400 with the second generation Intel Xeon Scalable processors. The second generation Intel Xeon Scalable processors have been positioned by Intel as the catalyst for data-centric transformation by seamlessly connecting data centres, networks and the intelligent edge. The Xeon Scalable processors have improved Intel Turbo Boost technology 2.0 frequencies of up to 4.4GHz and enhanced memory support for Intel Optane DC persistent memory and increased DDR4 frequencies. The processors provide an advanced compute core designed to excel wherever enormous performance for rapid data analysis is needed, but also enable a broad range of AI and machine learning applications with Intel Deep Learning Boost that adds new Vector Neural Network Instruction (VNNI). Intel Speed Select Technology is another important new feature which provides dynamic service delivery based on workload needs. The new Intel Xeon Scalable processors deliver hardware-enhanced security to enable more effective data protection, greater workload integrity and suppression of malicious exploits with reduced performance overhead. ADLINK’s CSA-7210 and CSA-7400 (2U/4U) are high performance, carrier grade commercial off the shelf (COTS) network security platforms built on the Adlink Open Compute Carrier-grade Edge Reference Architecture (OCCERA), integrating network interfaces, switches, and overall computing capacity. The CSA-7210/7400 can be used for next-generation firewalls, telecommunications, and Multi-access Edge Computing (MEC). They feature high throughput capacity and I/O density, parallel computing and computing density, carrier-grade high availability, and support for standardised application programming interface (API) management. They meet the requirements of network security systems adds Adlink. The CSA-7210 and CSA-7400 have been deployed globally by leading system integrators in a variety of high-profile use cases such as IDS/IPS network security solutions and SD-WAN enterprise network service platforms. boards, platforms and user interfaces; real-time data connectivity solutions for industrial computing, such as machine learning via AI-at-the-edge.